I started reading a fantasy series this summer. I like to have a novel in my reading rotation along with whatever non-fiction I’m reading. It’s nice to end the night with fiction. It’s less likely to spark ideas that get my brain going when I’m trying to wind down. Fantasy is not my usual genre, though. I read The Lord Of the Rings when I was younger and have enjoyed lighter fantasy like Neil Gaiman’s Stardust. But I’ve never gotten into the breadth of fantasy literature. A friend recommended Brandon Sanderson’s The Way of Kings when I was looking for beach reads. I gave it a look and ended up enjoying it. It’s a massive first book in a projected ten book series. The author creates a richly intricate and original world and crafts a compelling narrative around three strong main characters. 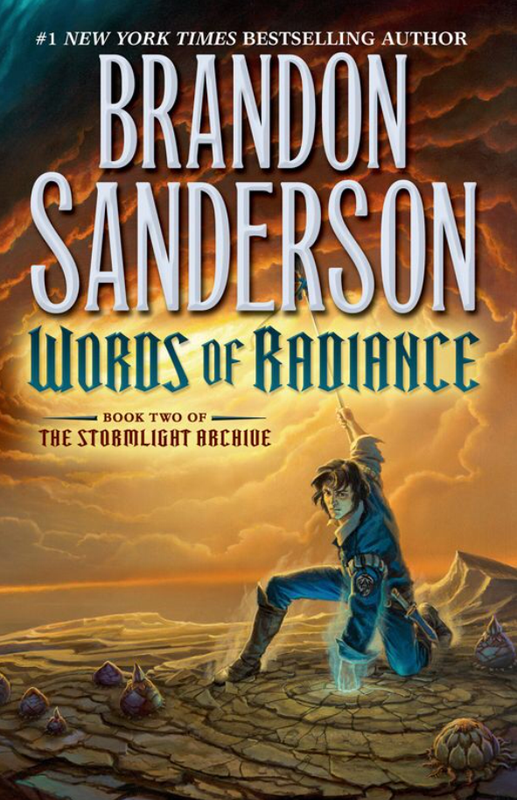 I ended up downloading the second book, Words of Radiance, as soon as I had finished the first. It’s another 1,000+ page epic, and it’s a page-turner with as satisfying a payoff as any novel I’ve read. Now, a long wait until the third in the series is released. I read these two books in awe of the author’s ability to hone the details of his story. His vision of the setting and the countless back stories is impressive. What a gift he has to make these stories come to life with such imagination and daring. If you’re willing to invest some time in a long, long read and invest in a fascinating world of escape, this series will delight you.